The accused identified as Sweety (24) and Muskan (25) used to allure people and rob them of their cash and belongings. 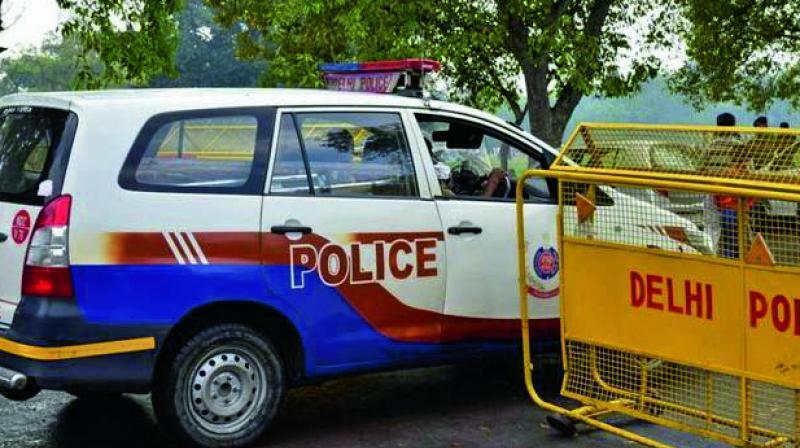 New Delhi: Two women were arrested near the Moolchand Metro Station in Delhi for allegedly robbing men on the pretext of seeking help or by alluring them, police said on Monday. On August 4, around 9:30 pm, when the police were patrolling near the metro station, they noticed a person chasing two women. The police immediately jumped into action and after a brief chase, they managed to intercept them, said Chinmoy Biswal, Deputy Commissioner of Police (southeast). The victim told police that the two women had slapped him and robbed him of his purse. Subsequently, both the accused women were arrested and the victim's purse was recovered from their possession, DCP Biswal said. During an investigation, the complainant told police that while he was going home on his motorcycle, at around 9:30 pm when he reached near the metro station, he was signalled by two women who were shouting Help! Help! When he stopped his bike, one of the women named Muskan slapped him. He fell down from the motorcycle and in the meantime, Sweety took out his purse and both ran away towards Ring Road, Lajpat Nagar, the DCP said. During interrogation, the accused women revealed that they were illiterate. Muskan told police that she is a widow while Sweety said she was living separately from her husband and that her divorce proceedings were pending, the DCP said. In order to earn their livelihood, they both started robbing men during the night hours. They would sometimes lure men or seek their help. When the victim offered to help, her associate would come from behind and together they would rob men, he said. The accused women confessed to police that at times, they used to threaten men that if they tried to report the matter to police, then they will file a false complaint against him, the officer said. The accused told police that in the past two-three months, they have robbed around five-six men and in the apprehension of social stigma, victims might not have reported the matter to the police, he said. In another incident, a 67-year-old woman was arrested for allegedly stealing Rs 75,000 in Chanakyapuri, the police said. A bridal exhibition was underway at a five-star hotel there and the woman stole Rs 75,000 from an exhibitor's purse, they added. The woman left from there and started counting money. She was spotted by a hotel security guard who was also informed about an exhibitor raising an alarm about the theft. The police were informed and she was arrested.